With an art business, as with any business really, it is essential you employ proper promotion techniques to reach your target audience. You can do this via conventional advertising methods or by utilising online techniques to gain business. As the Internet grows so do the promotion possibilities it offers. Apart from using your website to achieve high sales and reach your customers you can try a number of other tried and tested marketing techniques to increase sales. Joining forums connected to the type of business your in are an invaluable way to reach potential customers. You can offer solutions to their problems and at the same time promote your business. As your popularity increases on the site you will see an increase in hits on your website too. Also, you will be able to directly approach fellow members with prototypes of work and gauge their reactions providing valuable market research. Most search engines list a website by its size and by how many other sites link to it. Therefore it is invaluable that you make as many crosslink's as possible. Approach online suppliers of raw materials, art societies and other likeminded individuals and ask for permission to link to them and ask that they reciprocate the gesture. It is unusual for them to refuse as they want their search engine rating to rise too. Ezines are basically electronic magazines. They are nothing scary, just online magazines as opposed to print versions. Approach them and ask about advertising in their production, or offer to write a specialist article for them. This will raise your profile amongst the art community and you will rapidly become viewed as an expert in your field. Try to approach as many as possible. From your website offer customers the chance to subscribe to a newsletter. That way you can keep in touch with your target audience, informing them in advance of events, new artwork and any other information about the business. You could also try including art tips and advice, a sure way to get many more subscribers to your newsletter. 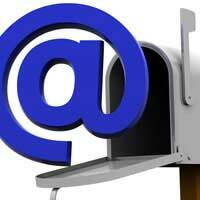 There are several free online services for creating and maintaining your newsletter creation and customer information. It will also help if you put on the subscription page that you do not sell your email lists as more people are becoming concerned with protecting their information. It is essential that you develop a large web presence in order to succeed with Internet promotion. You literally need to get your business name and links to your work in as many places as possible. It may seem like a daunting task, but it is worthwhile investing as much time as possible to the task of online promotion. The good news is that most of the promotion you can do online is free, and if you write articles for Ezines they even pay you as well as providing a by-line to link to your website foe customers to buy from you. Remember, nothing ventured nothing gained, and with art that is certainly true.